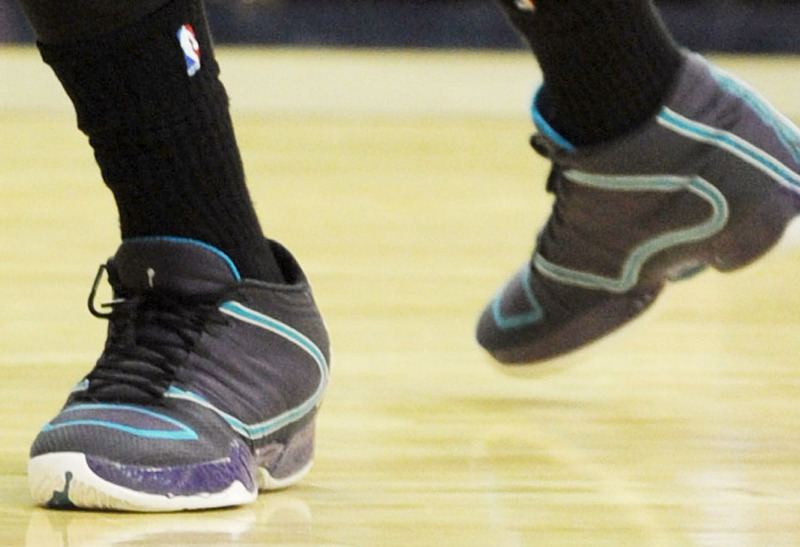 MKG takes on LeBron in new XX9 exclusive. After debuting a 'Home' colorway over the weekend, Michael Kidd-Gilchrist wore an 'Away' Air Jordan XX9 PE in tonight's game against LeBron James and the Cleveland Cavaliers. MKG's latest sports a Hornets-inspired purple performance woven upper, with purple trim and a white outsole. While the kicks looked great, it was a rough night for Kidd-Gilchrist. 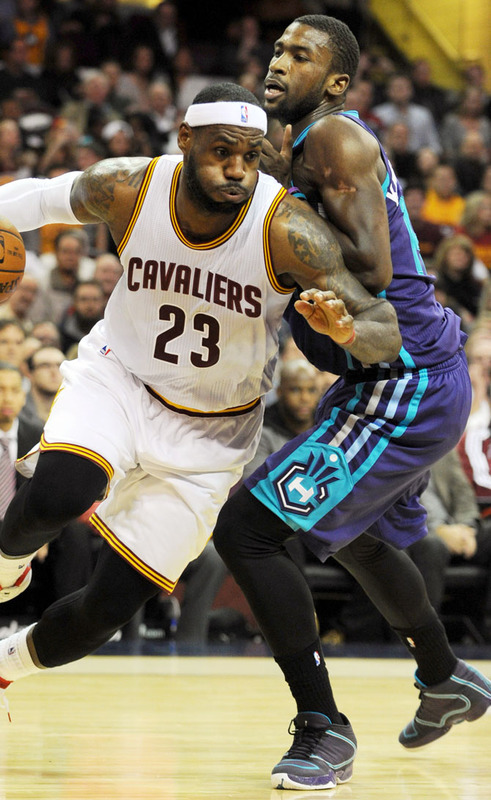 He had just 1 point and 4 rebounds in the Hornets' 97-88 loss to the Cavs.